There are plethora of people who daily dream about having their own house, office or any other required building. They wish they could see their place building and progressing day by day. But this dream of people is often over powered with the fear of accidents and misfortune events happening at construction sites. No one wants to take extra tension or worry about anything when they are already burdened with their own stuff. In such a situation they resort to build houses or offices and their dream get shattered. If you have also seen the same dream and want to accomplish it without any tensions than employ only those workers who are holder of CSCS cards. 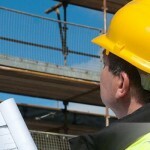 The abbreviation CSCS is for Construction skill certificate scheme. The main aim behind this scheme is to reduce accidents and make workers more responsible and alert towards safety and security of others as well as themselves. The scheme involves various things like a safety test, card or certificate, training program etc. Any person or company can with blindfolded eyes employ the holder of CSCS card at their construction sites as they are not only competent but a safe workforce. 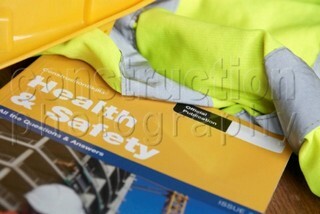 It is the best way through which high standard of safety and securities are maintained at work place. The growing success of this scheme had made it mandatory in various parts of the world. 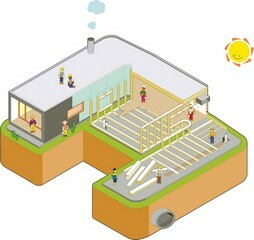 Moreover it is a mark or evidence of competence and capability of the person working in the construction industry. Therefore, every person who works or who is planning to land up in the field of construction must immediately apply for CSCS, get their card and reap its benefit as per their own desires. Any person while sitting in any part of the world can obtain the desired card as per his competence and field with just a click of his mouse. He just needs to have internet through which he can go through the companies offering the tests. He can register himself with any company and can get the card with ease and comfort. No one needs to skip his work for taking the test as one can schedule it as per their own time table. He also has discretion to pick the venue which is most suitable to him. Study material, mock test, revision material etc. everything will be provided by the company which is conducting the test. There are different type of CSCS cards which are made in accordance with the field, competence and experience of the worker. These cards are made distinct through different colors and logos engraved on them. If any person has any doubt that which can would be suitable for him then the company conducting the test will surely aid him in finding the most apt card for him. They also offer friendly consultancy to people in which they clearly puts the advantage of the card, its need and all the terms and conditions required to be followed in order to get hold on the card.